Comic Con Radio has taken over the World, One Listener at a time! We promise to keep you entertained and informed on everything in our Universe. By our Universe we mean; Marvel, DC, Disney, SYFY, AMC, CW, Warner, FX, FreeForm, Fox and CBS and more. We interview and chat with amazing guests from The Walking Dead, The Flash, Green Arrow, The Legends of Tomorrow, American Horror Story, Black Lightning, Z Nation, Van Helsing, DC Titans, Gotham, Wynona Earp, MidNight Texas, The Gifted, Star Trek, Legacies, The Orville, Deadly Class, The Passage, Charmed, Super Naturals, Project Blue Book, Riverdale, and Fear The Walking Dead. Just to name a few. Comic Con Radio releases Episodes several times a week. Our episodes include reviews and recaps of Popular Television shows and movies. Whether it's a classic or just about to release Comic Con Radio will be their. Comic Con Radio also wants the fans to hear their favorite stars on air. Our special interview episodes with your favorite celebrities from all across our Universe will surely keep you connected. 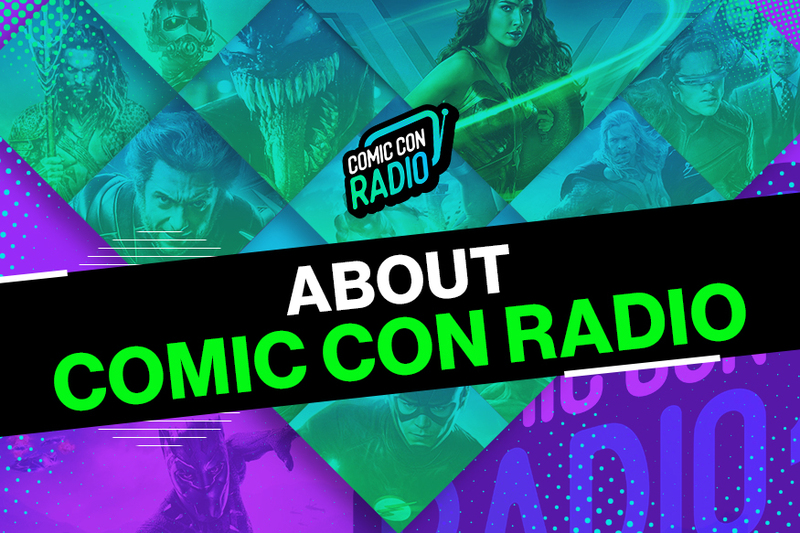 Comic Con Radio Covers many different types of Pop Culture Events, Movies, Red Carpet Events, Comic Conventions from all across the globe no matter the size. Everything Comic Con & Fandom from Around the Galaxy! Leave us a message. Give your opinion. Ask about any episode, or just say Hi! Reach out on social media. Like us, follow us, subscribe to our channels and pages. We absolutely appreciate you. Enjoy Comic Con Radio and Please Subscribe!